Navigate directly to our Project Page to see our 2016 & 2017 major development projects. There is Far More to Fair Trade than Selling Products. Being a “Fair Trade” development organization in a highly competitive, price conscious society is not easy! 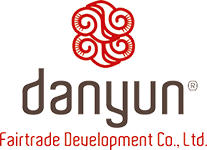 It is not possible to include all of the costs of the wide variety of support services which Danyun extends to artisans and farmers in Yunnan and the more than 30 villages we are involved with, in the price of a fair trade product. Your donation to Danyun is not a short term “hand out.” It is the “hand up” that provides opportunities for skilled, hard working people to earn a fair income and support their families. There is no more practical or cost effective way for you to impact global poverty than by supporting our work to create sustainable incomes. In a world where almost 3 billion people surviveon less than $2 USD a day, our mission is to reduce poverty through Fair Trade. Even though the additional income generated from the sales of our products improves the financial stability of our farmers and artisan groups, in certain cases we need to take additional steps to completely support them in different areas of their lives. Gifts of financial support make it possible for us to provide additional training, product development, and targeted grants to our farmers, artisan and partners, extending their earning potential into the future. Our artisans, farmers and partners often need help securing equipment or training on product design, while others need instruction on quality standards, management, human relation aspects, exporting, and shipping. Each phase of partner development is critical if our groups hope to establish strong and enduring livelihoods. Browse our PROJECTS OVERVIEW of 2016 & 2017 major development projects. The gifts of financial support Danyun receives make these development works possible. With 20 years of experience, we understand the need to generate revenue both from craft and tea sales and financial support from generous donors. The combined impact helps develop clean and safe workshops, improve environmental sustainability and strengthen businesses. But most of all, it helps people lift themselves out of poverty through sustainable business development.